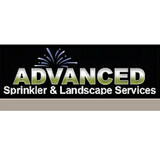 Established in 1981, Advanced Sprinkler and Landscape Services has a long standing reputation that is second to none. Our customer reviews speak for themselves! 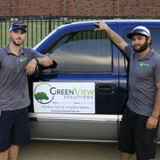 GreenView Solutions was founded by this young entrepreneur who has a great passion for irrigation and the environment, but most importantly the desire to provide an honest, and high quality service to all clients. Brandon King has been in the irrigation industry for 5+ years and continues to further his expertise through continuing education and specialty environmental classes. 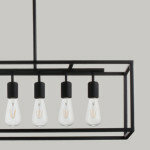 Brandon looks to provide the highest quality of service to all clients with projects big and small. At the end of each job, Brandon and his team make sure that every client is satisfied with the work that they have preformed and that the site is left in even better condition than when they arrived. You will always know who is on site at your residence or commercial property and will be informed of all proposed services prior to any work being preformed. Brandon takes pride in each and every job that is brought to GreenView Solutions and he strives to meet clients’ urgent and essential needs at their convenience. 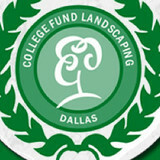 College Fund Landscaping provides complete lawn care in Plano Tx, Frisco, Allen and surrounding areas. Lawn mowing service, maintenance, and home treatment services. We take pride in our quality service, professionalism and a hands on approach where our customer's satisfaction is our highest priority. Offering weekly, biweekly and monthly lawn service as well as pruning and trimming of your bushes and trees, our services will keep your homes' landscape looking its absolute best! If you’re looking for high quality and personal service, you’ve come to the right place. AAA IRRIGATION SERVICE offers sprinkler repair at a reasonable price. Our trucks are fully stocked to get the job done quickly and correctly on the first visit. In most cases we can get to your system the same day you call. When you schedule your sprinkler repair we will send a licensed irrigator to your home or business for a thorough system inspection. 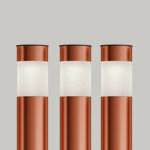 This includes adjusting nozzles, looking for broken heads, and pipes, and getting your system to its peak performance. Also we will get your controller programed for proper watering and make sure you under stand how to operate the system. CitiTurf has been looking for ways to be ‘different’ since day one. 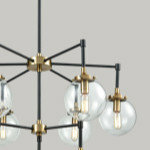 Before we had a reputation for great customer service and excellent quality we had to find a way to convince potential clients to give us a try. So we became the first lawn company (that we know of) to Guarantee Lawn Care. And not just any guarantee… anyone can say satisfaction guaranteed. We got specific, put it in writing, posted it on our website and made our guarantee bold. Seriously, name another lawn company that Guarantees in writing your complete satisfaction with every service call. And if anything about that service call disappoints you the company will immediately fix the issue at their expense without argument, complaint or excuse. And if after attempting to fix your concern you were still dissatisfied, they would, without argument, pay another lawn care company of your choosing to fix your concern. With over a decade of experience in the landscape industry, we are confident that our team has the expertise to tackle just about any lighting or irrigation job, large or small. Our main business is lighting and watering your landscapes but with our wealth of knowledge and licensed/certified professionals we are poised to help you with just about anything your landscape or exterior environment might need. 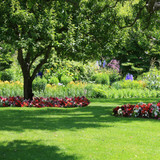 Cesar's Lawn Care is a full service landscape maintenance company. 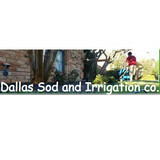 We have provided landscape maintenance in the DFW area since 1993. We are committed to provide superior customer service, dependability, and attention to detail for every single one of our clients. We strive to establish long-term relationships with our clients and provide a safe, secure, and rewarding workplace for our employees. With over ten years of experience, hard work, and reliability, our company's goal is to exceed your expectations by doing an outstanding job of making your home look beautiful and well-cared for. Offering a range of treatments designed to promote the health, vitality and aesthetic appeal of lawns and landscapes, including: customized turf treatment programs that yield beautiful, healthy, weed-free lawns; insect and disease treatments to protect lawns from harmful pests; fertilization, insect and disease control treatments for trees and shrubs; weed control treatments for planting beds; core aeration services; and more. Organic fertilizer options available. 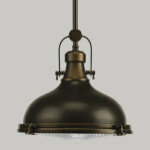 Free estimates, no contracts, no minimum commitment.